Saunders College of Business students come from around the globe to study and learn the skills necessary to apply in to real-world business solutions. Upon graduation, our alumni pursue ambitious careers and make the successful transition into the workforce. 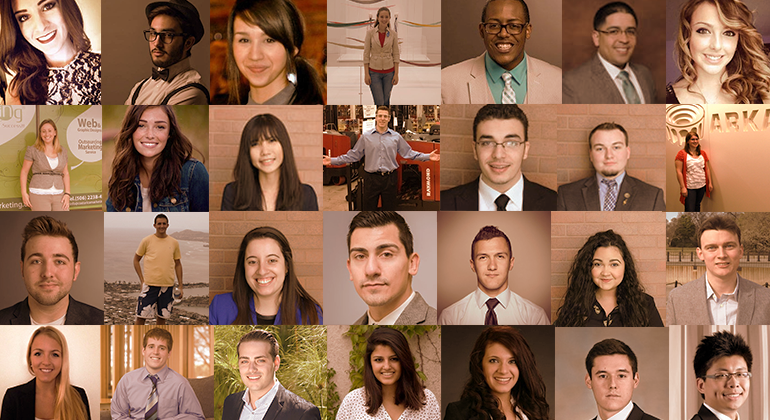 We couldn't be more proud to showcase our Saunders alumni as they reflect on their RIT experience. John French Lawyer, PCC Structurals, Inc.
Joshua Arcadi, Wegmans Food Markets Inc.
Sophia Song, Southwest Airlines Co.
Simran Makker, Mob Action Games LLC. Mila Le, Wegmans Food Markets Inc.
Jeffrey C. Fasoldt, Sr. , Annese & Associates Inc.
Ethan Kersat, BMW Manufacturing Co.
Casey Fitzgerald, JPMorgan Chase & Co.
Thomas Camiolo, Greece Agency, Inc.
Karina Peñaloza Castro, Megacopy S.A.
Kathleen Hagelberger, TJX Companies Inc.
Jonathan Ennin , JPMorgan Chase & Co.